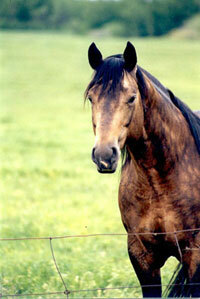 World Champion ABRA Weanling Stallion. Mito has AQHA Halter and Performance Points. Many of his foals have been Futurity Champions as well as point earners. Mito sires buckskins, palominos, blacks, greys, duns, grullos. Mitos foals are gentle, very personable, and very trainable. They perform in a variety of events from halter to western pleasure to english to being trail riding horses and ranch horses. Many are currently being used as AQHA Youth horses and 4-H horses. 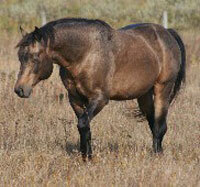 Sire of the 2005 Canada's Premier Ranch Horse Competition Reserve Champion "Mitos Shock Em"